A simple explanation to provide to players on how to understand the roles and responsibilities of playing soccer properly when not in possession (B-) Defending in Their 1/2 (Opponent's) & Defending in Our 1/2. These are two critical areas to have players understand how to win the ball back in order to attack, create positive scoring opportunities and to capitalize on them. This will allow the players to take ownership of their own unique style and flair to be admired by those who enjoy the pure possession game! 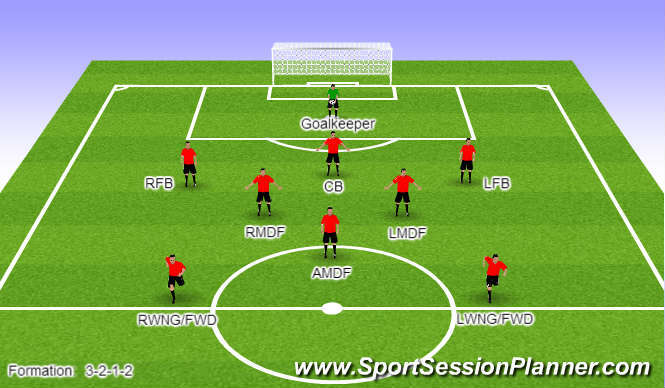 This formation will provide a well balanced team throughout the field. Payers work in groups of 3 up and across the field. Hence the reasoning behind players playing 3 vs.1 at practices with &apos;elastic&apos; field markings. Transition from attack to defense is critical in their decision making to win the ball back in order to counter attack and catch the opponent off balance. Once in possession of the ball: protect it, secure it, supply it, support it, finish it & protect yourself from being countered on the counter attack. 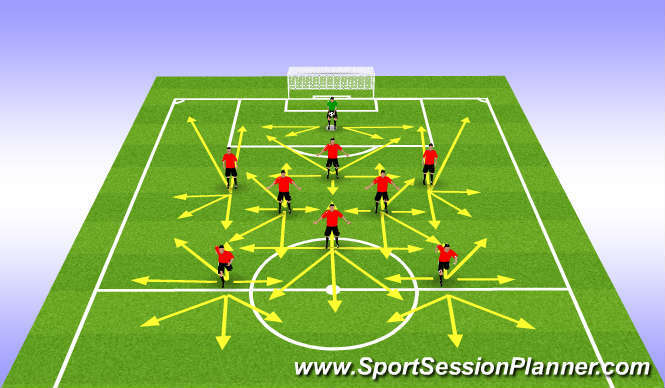 When defending as a team keep the spaces between the players & lines tight from being exposed by players who can dribble or outrun the midfield.